1. I was born in New Mexico and was raised, even in utero, on Mexican food. I *love* it. 2. I try to be humble. That being said, I think this recipe is one of the best Frijoles Refritos (aka, refried beans) I have ever tasted. Recipes like this convince me that I could go vegetarian, if only it weren't for my undying love of bacon. :) I made these beans with some brown rice and Tomatillo Dip and we feasted like kings. A couple reasons I developed this recipe--first, my boys *love* refried beans. Second, canned refried beans are pretty high in salt. 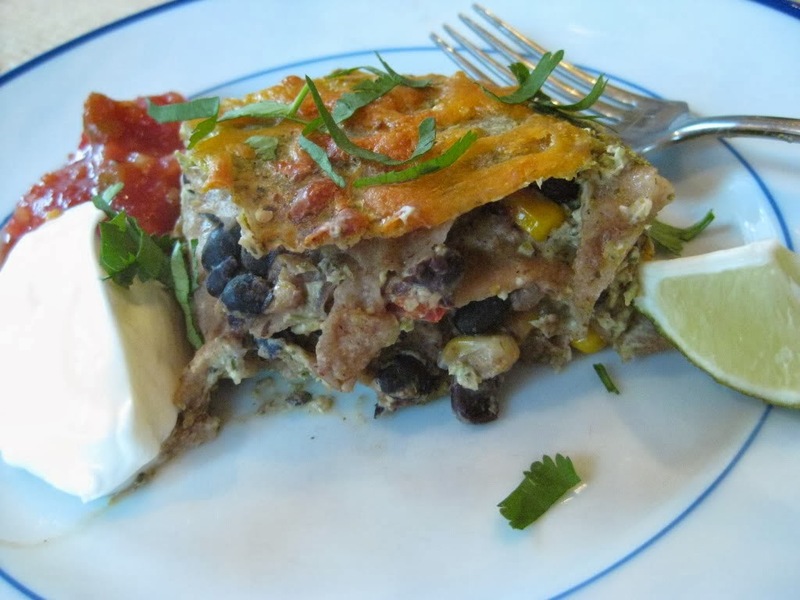 Third, it came to me the other day...refried beans would be a very easy place to hide more vegetables. This recipe uses dried pinto beans that you soak overnight. Why did I use dried beans? After reading Amy's Super Healthy Kids blog, I was inspired. If you aren't inspired to do so, canned work just as well. In a large skillet, heat the oil to medium high and add the onion and garlic. Cook 4-5 minutes or until the onion begins to get translucent. Add the jalepeno, roasted red pepper and tomato, cook for an additional 2 minutes. Add the pinto beans, spices and 1/2 c water. Cover and let simmer for about 5-10 minutes. Remove the lid and let simmer while you mash the beans with the back of a big fork or spoon, potato masher or pastry blender (or, if you really want them "mashed," whip some up in your food processor). We love beans! Truly, I simmered a crock pot full of black beans on Sunday and they are just about gone. I put them in the fridge after the became soft. My 7 year old takes them out, mashes them and dips tortilla chips in it. My husband takes them out, puts it inside a tortilla with cheese and eats it for a snack. It's healthy AND cheap!